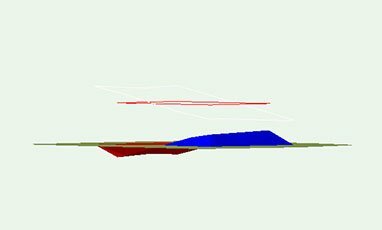 I realize that this is intentional, as a tool for visualizing the volume of cut & fill. However, I don't find very helpful for visualizing where areas of cut & fill are located in relation to the topography, and other proposed features eg. buildings, roads, trees etc. 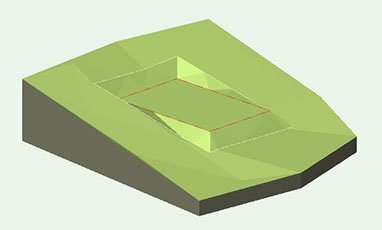 I'm aware of the 2D Cut Fill Area function located in Site Model Settings > Graphic Properties > Site Analysis, but I think it would also be very useful to have the option of displaying areas of cut & fill in context on the surface of the proposed 3D terrain, see example below. As far as I can tell this display option is not currently an option anywhere in Site Model Settings. 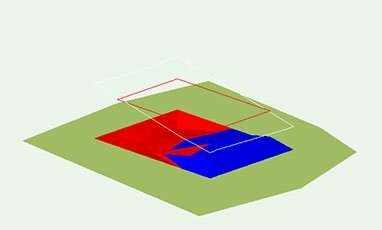 I created the below image manually by duplicating the site model, activating 2D Cut Fill Area, converting the site model to a group in Top/Plan view, extracting the red & blue polygons, and converting them to texture bed site modifiers. Currently this process would need to be repeated each time the site model is modified. If this functionality was to be added to to the Vectorworks Site Model, I'd suggest that the Style: selection box (which is currently grayed out when Cut and Fill is selected above), includes two options such as 'Relative' or 'Volume' mode (volume displayed relative to 0), and 'Area' mode (area displayed on terrain surface). At present texture beds and textures applied to the site model are not shown when 3D Display is set to Cut and Fill. 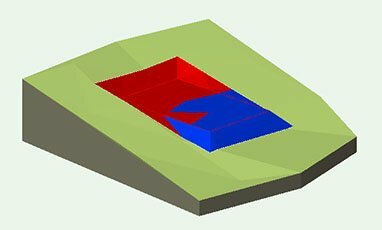 The site model reverts to the 3D Triangles colour specified in Site Model Settings, and it could remain this way with the addition of the Area mode described above. If it was also possible to add an option to display cut & fill over the top of textures and texture beds it would be extra useful, preferably with an opacity slider for revealing the texture beds beneath.